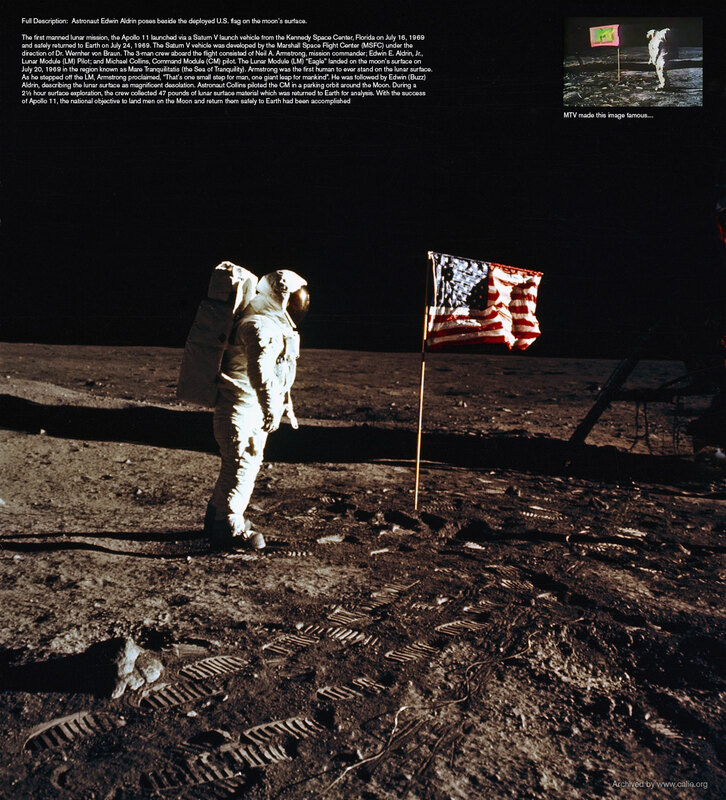 Full Description: Astronaut Edwin Aldrin poses beside the deployed U.S. flag on the moon’s surface. known as Mare Tranquilitatis (the Sea of Tranquility). Armstrong was the first human to ever stand on the lunar surface. Return to CALIE first man on the moon ARCHIVE.